Representing the present rich state of historical work on Darwin and Darwinism, this volume of essays places the great theorist in the context of Victorian science. 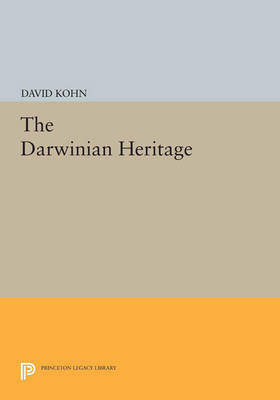 The book includes contributions by some of the most distinguished senior figures of Darwin scholarship and by leading younger scholars who have been transforming Darwinian studies. The result is the most comprehensive survey available of Darwin's impact on science and society. Originally published in 1986. The Princeton Legacy Library uses the latest print-on-demand technology to again make available previously out-of-print books from the distinguished backlist of Princeton University Press. These editions preserve the original texts of these important books while presenting them in durable paperback and hardcover editions. The goal of the Princeton Legacy Library is to vastly increase access to the rich scholarly heritage found in the thousands of books published by Princeton University Press since its founding in 1905.